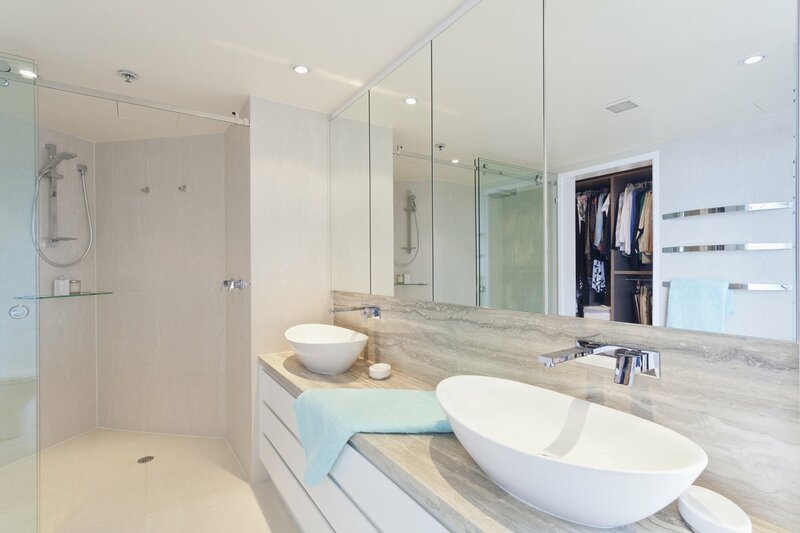 A modern designed bathroom is very often all about going the absolute minimalist route, with spa-like finishes for a clean feel. However, sometimes this kind of look can end up feeling a bit too clinical. Bathrooms can often be devoid of intriguing patterns, which really is a shame because bringing in some interesting and energizing patterns will definitely add life to any space. Consider adding in playful towels or a patterned drapery panel, or just the simple route and hang a colorful wallpaper sample in a frame displayed as a piece of artwork. Going for these of low-key ideas will allow you to still keep the classic color scheme for your fixed elements whilst dabbling in a couple of color trends as the mood strikes. 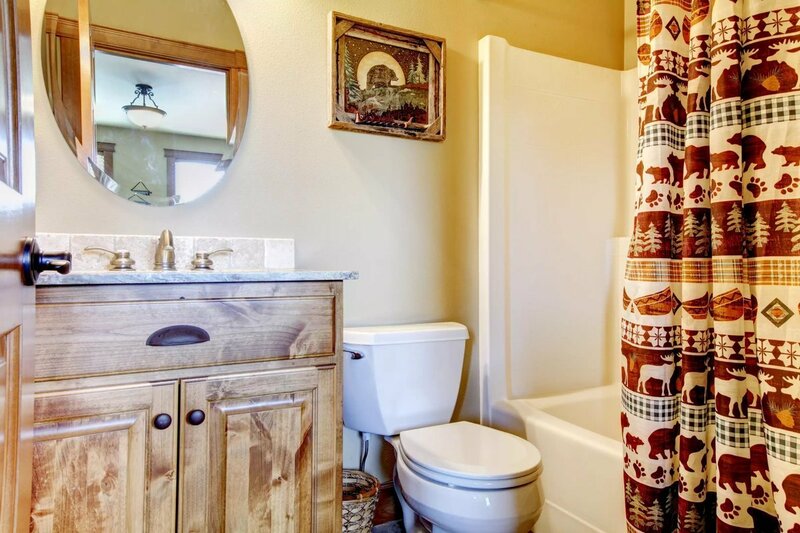 Admit it, sometimes it can get annoying having to see the toilet in your otherwise gorgeously decorated bathroom. A great idea is screening out the toilet, this will help put some visual emphasis the more beautiful areas in your bathrooms, like a quirky washbasin on a vanity, but remember that dividing the space can cause the room to have some visual shrinkage. So, go for an airy divider screen, maybe in a more neutral color so you can try to divert the eye without completely closing up all the walls in your bathroom. 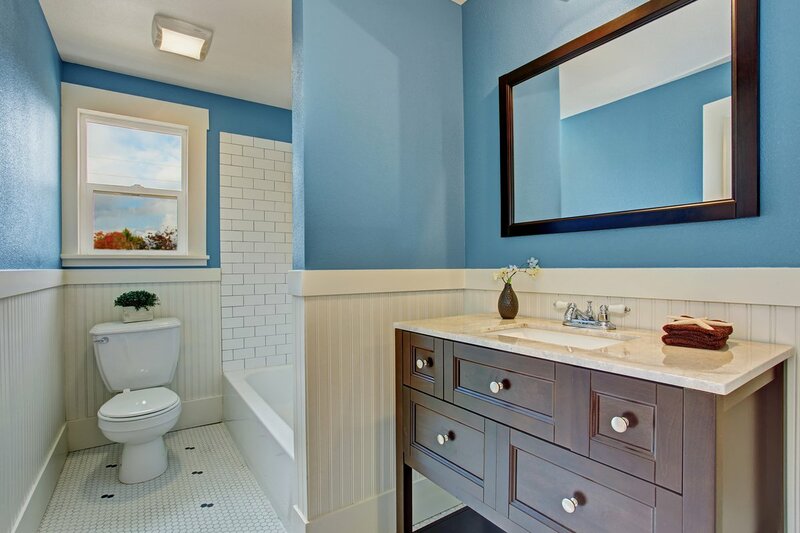 A white themed bathroom doesn’t necessarily have to be completely stark white. However, if you really do want to stick to the white scheme though, try mixing in some off-white creamy in elements like towels, small accessories or wallpaper. This nifty little trick will help make that white porcelain look white while still softening the entire look of the bathrooms palette with a less clinical tone. Sure, there are so many different styled mirrors out there that you can use to create a more intriguing look in your bathroom, however, why not go for a more dramatic look with your mirror and hang one up with a chunky rope or strap from an equally substantially large hook. 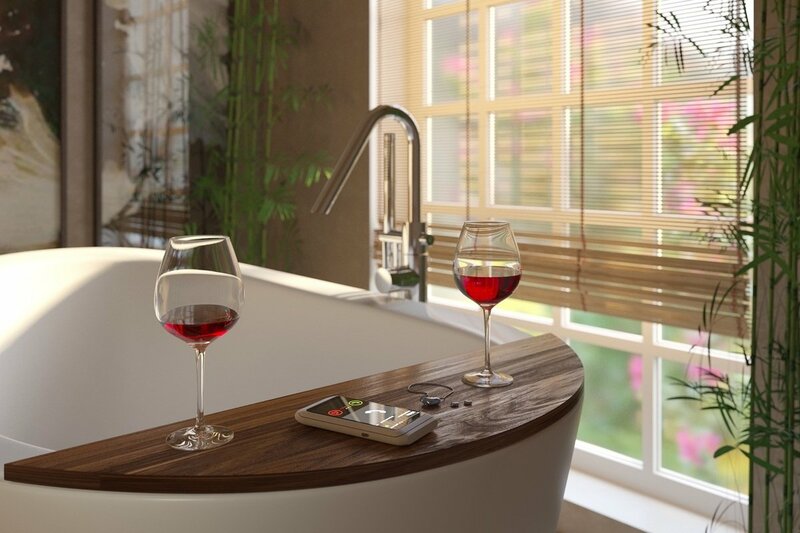 Not to mention that this will also give your bathroom a gorgeously original nautical look. Just like in your kitchen, the cabinet hardware often goes overlooked! Quirky and fun cabinet knobs, especially in a bathroom, will add an interesting personal touch to your bathroom's style, which you can always change out - inexpensively if you don’t like them in years to come.